Spring is a time of birth, growth, and development for plants and animals. This is the perfect season to teach your students about the Earth sciences. Use our spring lessons, printables, bulletin board ideas, and art activities to supplement your science units. You'll find plenty of resources on life cycles for elementary, intermediate, and high school classes. Enhance your teaching strategies and students' learning with these mini-lessons and slideshows with activities on animals. Browse our collection of slideshows to find resources to enhance your curriculum about spring. Includes a printable book with activities and lesson plans. Teach your students about the season of spring with these printables. Includes activities on life cycles, and the origins of May Day with fun classroom activities. Our Lesson Plans will help students understand spring with activities such as growing a class garden and life cycles of insects. Refer to our resources on the spring season to enhance your lessons and add to students' learning. Some activities included in the reference information. Choose from our resources to expand students' knowledge with activities such as labeling the parts of a plant, putting together a mini-book, and learning about plants in the rain forest. Your students' knowledge about animals will be expanded with these resources. Includes matching animals to their habitats, life cycles of insects, and learning the animals that live in the rain forest. Expand your lessons with these Digital Books about spring and increase your students' learning. Use our books as introduction lessons or for current learning about plants and animals. Take a look through our resources of holidays occurring in the spring and extend your lessons as well as student learning when you use them. Incorporate art activities into your lessons about spring by using our resources. Includes a bulletin board lesson, a printable book with activities, and more. Extend your spring lessons and students' learning using these science resources, such as enrichment activities with a booklet, butterfly facts and questions, and more. These activities will help students expand their knowledge about spring. Includes a booklet with enrichment cross-curricular activities and a Spanish vocabulary resource. Explore spring connections using these social studies resources about celebrations and traditions which occur in the spring season. 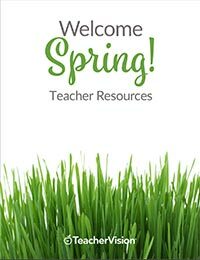 If you enjoyed these resources for Spring, click the links below to our resources for the other seasons.